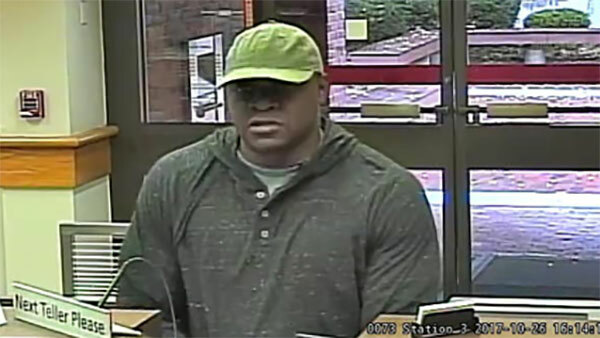 PRINCETON, N.J. (WPVI) -- Police in Princeton, New Jersey are on the hunt for a bank robber. They say he walked into the Santander Bank on Nassau Street and handed the teller a note demanding cash. After receiving an undetermined amount of money he walked out toward Park Place. The suspect is described as a black male, approximately 6 feet tall wearing a green baseball cap and a green hoodie with faded jeans.